Griechenland muss weiterhin sparen: Etwa 15.000 Beamtenstellen sollen bis 2014 gestrichen werden um das Staatsdefizit zu bekämpfen. Vor dem Parlamentsgebäude in Athen gab es lautstarke Proteste. THE DAILY TELEGRAPH: Recession-driven austerity measures aren't just bad for your wealth - they're harming your health. The after-effects of the financial crisis is driving a wave of suicide, depression and infectious diseases as medicine and treatment become prohibitively expensive across Europe and North America, according to new research by academics. After examing a decade of studies, Oxford University political economist David Stuckler and Sanjay Basu, an assistant professor of medicine and an epidemiologist at Stanford University, have concluded austerity is seriously bad for health. More than 10,000 suicides and up to a million cases of depression have been diagnosed during what they call the "Great Recession" and the austerity that followed it , the pair conclude in a book due to be published this week. They cite examples in Greece, which has seen the rate of the Aids-causing HIV virus increase by 200pc as the health budget have been cut. The more than 50pc youth unemployment rate has also seen drug abuse on the increase, hastening the spread of the virus. In a cutting attack on America's financial hub, one of the world's most respected economists has said Wall St is full of "crooks" and hasn't reformed its "pathological" culture since the financial crash. Sachs, from Colombia University, has twice been named one of Time magazine’s 100 Most Influential People in the World, and is an adviser to the World Bank and IMF. Die Arbeitslosenquoten in Spanien und Frankreich sind auf astronomische Höhen gestiegen. Spanien steckt in einer tiefen Rezession und die Wirtschaftskraft schrumpft weiter. Brüssel zeigt schockier über die Ausmasse. RT's Aleksei Yaroshevsky spoke to a known eurosceptic, the head of the UK Independence party, Nigel Farage. He believes the days of the Eurozone are numbered, and that people should withdraw their money from its banks before what happened in Cyrpus happens elsewhere. THE GLOBE AND MAIL: When Justin Welby became Archbishop of Canterbury last month, he made it clear the Church of England would become more active on issues involving business ethics. And his first move is to go after executive bonuses. Archbishop Welby, who is also the spiritual head of Anglicans worldwide, is no stranger to business. 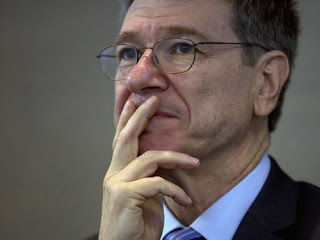 He is a former oil company executive and he sits on a British parliamentary committee that is reviewing the conduct of banks in the wake of the financial crisis. He also once wrote a paper titled “Can Companies Sin?” and concluded they could. In one of the first major announcements since he was enthroned, the Church of England announced last week that it would use its hefty investment clout to rein in executive bonuses, which it said had become excessive owing to a culture of entitlement and greed at many companies. Drawing on the Bible and a variety of studies, the church said it will vote against bonuses that exceed 100 per cent of base salary. SPIEGEL ONLINE INTERNATIONAL: European Commission President José Manuel Barroso has said that Europe has reached the political limits of its austerity measures, suggesting that crisis countries should get more time to consolidate their budgets. But Germany warned against changing course on Tuesday. BBC: Spain's population fell last year for the first time in decades, as immigrants left the country amid a major economic crisis, officials say. Follow our live coverage as Baroness Thatcher is laid to rest today following a procession through central London and funeral service at St. Paul's Cathedral. 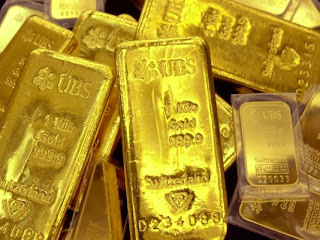 Why Are Gold Prices Tumbling? USA TODAY: The price of gold plummeted Friday to its lowest level in nearly three years as economists grew increasingly worried about the economy's forward momentum heading into spring. THE SUNDAY TELEGRAPH: The eurozone crisis threatens to flare up again this week after Portugal's constitutional court blocked the country's planned austerity programme. The single currency bloc has already been destabilised by Cyprus and now faces fresh uncertainty if Lisbon cannot find new savings to meet the conditions of its €78bn (£66bn) bail-out. Pedro Passos Coelho, Portugal’s prime minister, said last night that the rejection posed “serious obstacles and risks” to Portugal’s progress in meeting its bail-out commitments, but that it would “do everything to avoid a second rescue”. “The government is committed to all the objectives of the programme,” he said. Luis Marques Guedes, secretary of state for cabinet matters, said at the weekend: "The constitutional court's decision places serious difficulties on the country to comply with the goals and budget targets it has to meet. The government doesn't agree with the interpretation of the constitution." 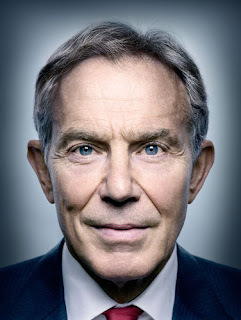 BLOOMBERG: On a snowy morning in the middle of February, Tony Blair, looking trim from his four- to five-times- a-week workout regime, is sipping coffee in his office in London’s Mayfair district. He’s sitting in a Georgian town house that was in the late 18th century the site of the first U.S. embassy to the Court of St. James’s. Now, almost six years after he resigned as British prime minister, it serves as the epicenter of a new Blair empire, Bloomberg Markets magazine will report in its May issue. Blair, 59, has reinvented himself as a dealmaker, globe- trotting adviser and philanthropist. He presides over a network of companies and charities that operate in more than 20 countries, with financing from a tangle of private, corporate and government sources. Nicos Anastasiades risks Orthodox Christian Church's wrath in gamble to revive broken economy. LE FIGARO: INFOGRAPHIE - La détection de gisements pétroliers au fond de la Méditerranée menace de relancer les tensions entre les deux pays. Jeroen Dijsselbloem's original game plan was to just keep a low profile. When the 47-year-old Dutch finance minister became head of the Euro Group three months ago, the first thing he did was deactivate his Twitter account. In meetings of the finance ministers of the 17 euro-zone states, he let his counterparts do most of the talking. And whenever he appeared before reporters in Brussels afterwards, he would start with sentences like: "Maybe it's good, if I say something." 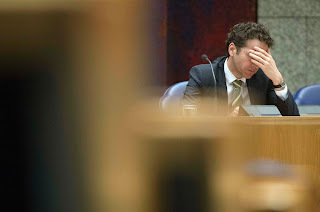 Dijsselbloem seemed determined to become the most boring of all the boring bureaucrats in Brussels -- until last Monday, that is, when he did something no one would have anticipated: He detonated a bomb. The way that large depositors and creditors were being drawn into the bailout of Cypriot banks, he said, could become a model for the entire euro zone. In future aid packages, he said, one must look into whether bank shareholders, bond holders and large depositors could participate so as to spare taxpayers from having to foot the bill. He was announcing nothing less than a 180 degree about face. Cyprus as a model? Dijsselbloem had hardly finished his comments before international news agencies began registering its impacts. Markets around the world nosedived, the euro sank to a four-month low and EU leaders had to rush into damage-control mode, as did the man who triggered the storm himself. Dijsselbloem backtracked by saying that Cypriot banks were obviously "a special case." Germany's top-selling daily tabloid, Bild, scoffed that Dijsselbloem would get a new nickname in Brussels: "Dusselbloem," the rough equivalent of "Dimwit-bloem." Inside Story: What Does the Future Hold for Egypt? As the country's reserves fall and unemployment increases, we ask if it is tipping towards an economic breaking point. The bank confirms depositors with about $130,000 could lose up to 60 percent of their savings in EU-IMF bailout plan.